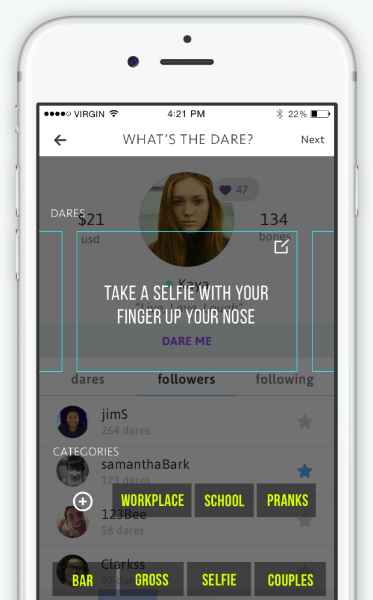 Send and receive dares from anyone. Don’t like the dare? Double it back to the other user. Dares are confirmed with video proof. Uploads are not allowed so videos are always real. Win real money by doing dares. And if ever in a dispute just send the proof to trial and let the public decide. Double Dog is a growing community of daring and creative people that like to send and receive dares for real money or fame. Submit video or photo proof. Share to get followers and likes. Compete in our weekly tournament. Win prizes and make real money! Share your videos. Get likes. Win Prizes. Double Dog is a real life action dare app. Explore your creativity by doing cool things. Inspire your friends by daring them to do the same. Share your best videos to the feed. Become a top dog and win prizes! Unlike any other dare games you’ve played before! Double Dog allows you to send and receive dares from friends within their circle and connect with people all over the world. The Double Dog dare app won several prizes including Best App Award at the TechCrunch Pitch-Off event in Austin, Texas. Dare. Share. Win Money. Make Friends. Be Daring. Explore Creativity. Join and experience this is growing community of daring friendly people. Find out why people love Double Dog! Download the Double Dog app from the App Store or Google Play and start daring today! Its a way to have fun and enjoy life! How to win a ton of bones! Daring is Caring. Be Safe. Be Fun. 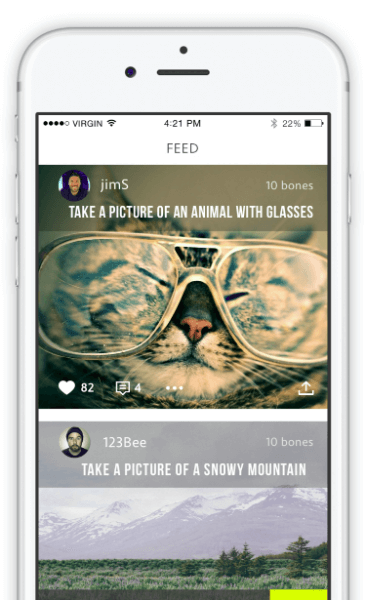 more than a daring app, double dog is a new form of social interaction. when people do things together, they become closer. invite your friends and experience for yourself. Double Dog is not associated with the movie Nerve or with the Nerve app in any way.